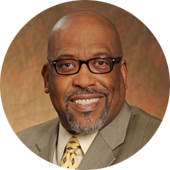 Welcome to the dynamic, energetic, and diverse campus of The College of New Jersey and our Office of Human Resources website! We are delighted you have chosen to visit us. Our office is committed to employing innovative “best practices,” emerging technologies, and operating from a focused customer-centric orientation. We ensure effective, efficient, productive, and timely processes and services supporting the College’s mission and core beliefs of preparing students to excel in their chosen fields, and to create, preserve, and transmit knowledge, arts, and wisdom. The College benefits greatly from the dedication and professionalism of our employees, and we strive to create an atmosphere of understanding, satisfaction, and fulfillment that their contributions are vital to our success. Our website is designed to inform, educate, and support members of our community in accessing and understanding the many and varied services and opportunities provided by our office. On behalf of our exceptional students, teacher-scholars, staff, alumni, and board members, welcome and thank you for visiting our site. Please come back often! Sign In to view compensation, benefits, and personal info. Account Lookup | Need Help? 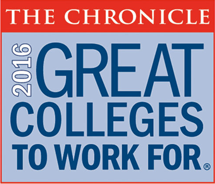 TCNJ has once again been recognized as a “Great College to Work For” by The Chronicle of Higher Education, a premier news and information source for college and university faculty and staff.